loved the red and white quilts. I decided to take that idea and put my own spin on it. 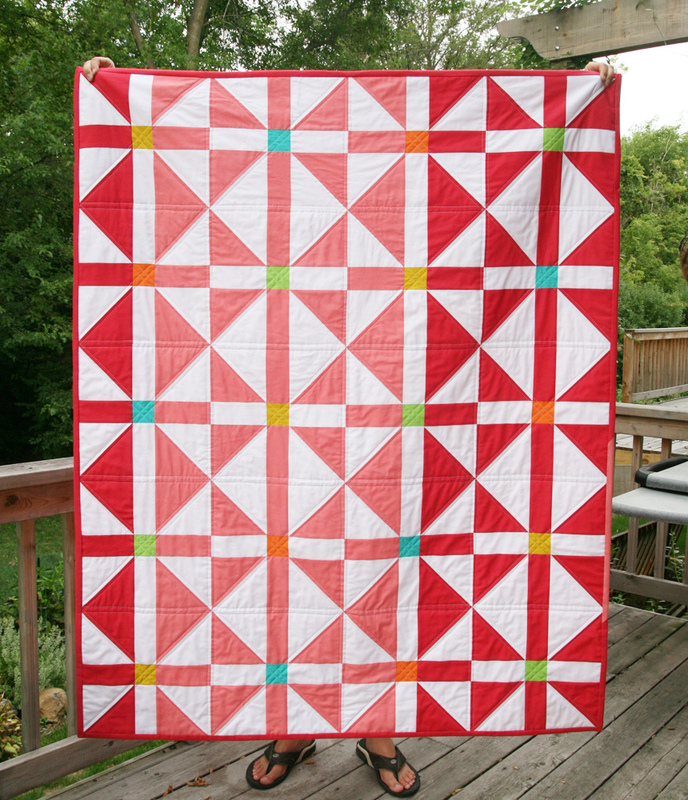 Inspired by the red and white, I designed this quilt using two shades of "red" - or my idea of "red". I then incorporated little punches of additional color at the center of each block. It ended up being one of my favorites. This block is also *not* paper pieced (probably some of you are cheering)! So this is a great project for beginners. Katie, Lee and I are going to take next week off from sharing book quilts and will be back following Christmas with the last few projects! I hope you've enjoyed seeing everything so far. I am keeping a Pinterest board with all the project posts in one place if you'd like to see them all together. Have a Merry Christmas everyone and thank you so much for your support over the last year. It means so much to me!